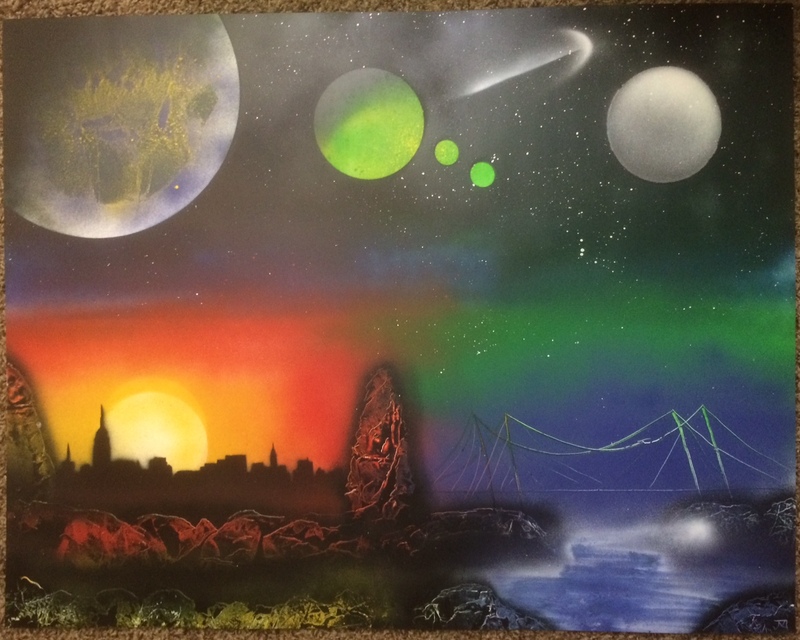 Four elements have been brought together in this spray painting. After a bright and energetic sunset creeps in the fog and mystery. As soon as morning arrives, the fog is turned to dew and the day begins.